Where I live, we don’t just wait until Tuesday for tacos. We eat them any chance we get, and that’s exactly what my sweet mama-to-be friend wanted for her baby sprinkle. I mean, who says no to tacos and, more importantly, who says no to a pregnant lady?! 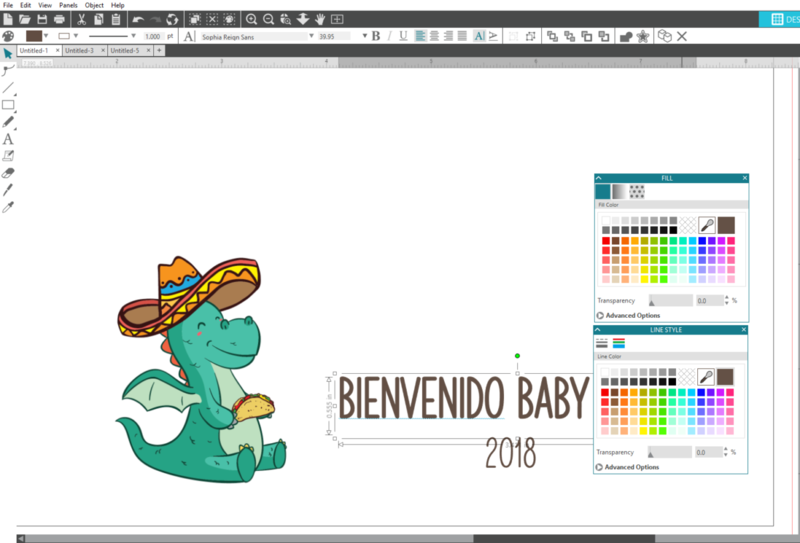 So a taco/fiesta/Dragon Loves Taco themed party was in the works! One of the first projects was creating a guestbook for friends and family to welcome sweet baby. 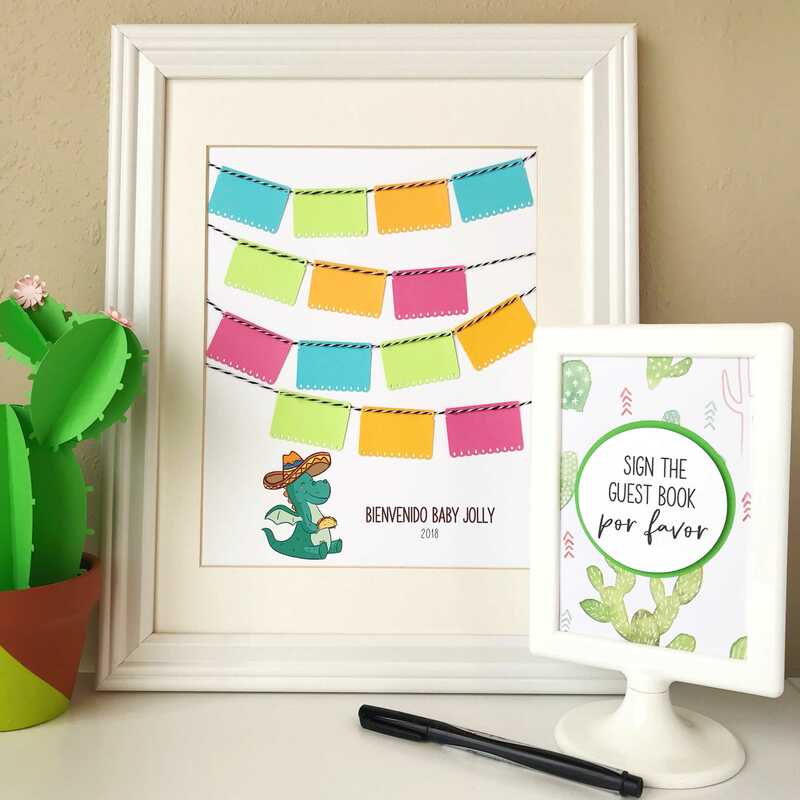 Below is a step-by-step tutorial to show you how you can make your own mini papel picado flags or any other shape that fits your party theme. For this project, I decided on an 8 inch by 10 inch print size for two reasons: 1) I could print it on letter-sized cardstock on my home color printer, and 2) it’s a standard photo size, so selecting a picture frame would be a cinch! NOTE: You can design your print with custom dimensions within the Page Setup panel and send larger prints to a print shop. First, select letter page size in the Page Setup panel. Draw an 8 inch by 10 inch rectangle with a line thickness of 0.25 pt, and change line color to black. Center the rectangle on page with the Align tools in the Transform panel. Next, import a graphic or shop the Silhouette Design Store for a design that best suits your needs. NOTE: The design files that are going to be the easiest to work with are the files that are designated as the Print & Cut files. However, if you are comfortable modifying a cut file into a Print & Cut design (by removing the cut lines and filling the shapes and lines with color), then you have a lot more options from the Silhouette Design Store. Place the graphic where you want it on the print and add text. NOTE: Remember to add fill/line color to the text as desired. 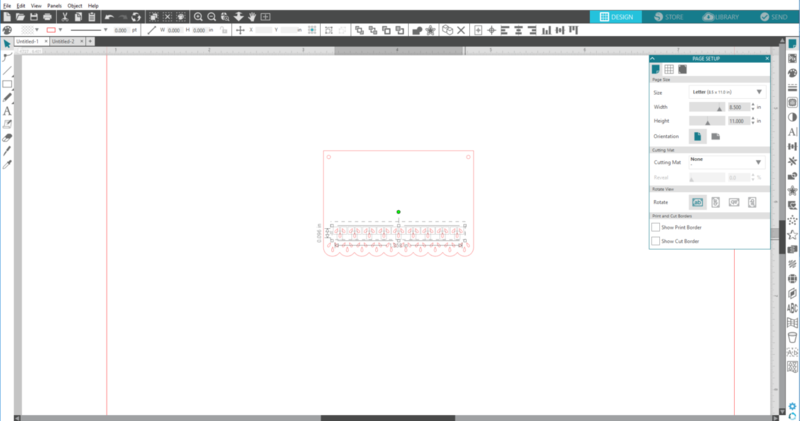 Since we are using Silhouette Studio® to create a print design, we do not need to worry about removing cut lines. Simply, click on the Design tab, and Send the design to your printer. When your print has dried, use scissors or a paper slicer to cut along the grey rectangle line. Open up Design ID#267908 and resize as necessary. For this project, I locked aspect ratio and resized the lacy flag banner height to 1.125 inches. To create more writing space on each mini flag (for guests to write a short and sweet note), I modified the cut file by removing the top line of lace cutouts. Right-click and choose Release Compound Path. Click and drag the mouse to select the top row of objects and delete them. Select the remaining objects of Design ID#267908, right-click, and select Make Compound Path. Send the design to your Silhouette. Make sure you use the proper cut settings and adjust the blade if necessary. Cut mini flags on a variety of colored cardstock for a fun, festive look or use party-theme colors to create a cohesive look. 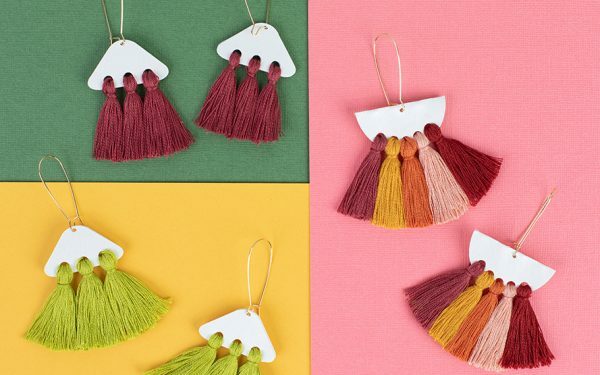 String bakers twine across the mini flags to create multiple garlands. Be sure to leave extra length on both ends of each garland. Place all the garlands on the print and adjust as necessary until you like how they look. Secure each mini flag to the print with permanent tape runner or some other scrapbooking adhesive. Lastly, wrap and tape down the excess ends of the bakers twine onto the back of the print. Insert completed guestbook into picture frame, either without the glass layer or put the glass piece behind the print so that guests can sign the framed print. Muy bueno, right? Using the Silhouette cutting machine to cut out the little fiesta flags not only saved me time but also made super precise cuts that I couldn’t get if I were to cut by hand! 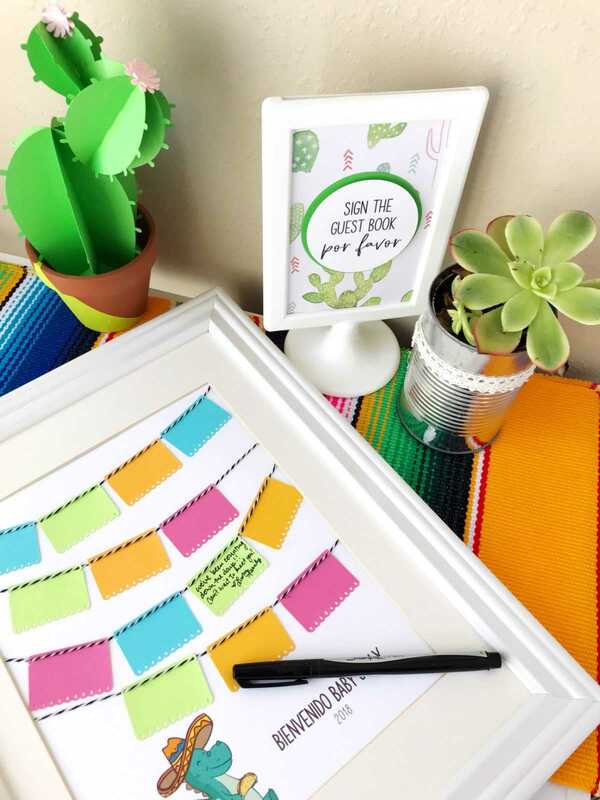 I absolutely love the eye-catching vibrant colors of the guestbook that serves as a wonderful keepsake and fun nursery décor! I hope this little niño knows how much he is loved already!